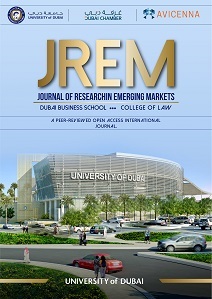 Journal of Research in Emerging Markets is an open-access peer-reviewed journal that will help in disseminating scholarly and practical knowledge among business and legal communities in developing and emerging economies globally. In the region business and legal issues are not independent, they are highly integrated. This journal makes the research issues unique for the users. Copyright for texts published in the Journal of Research in Emerging Markets is retained by the authors, with first publication rights granted to the journal. By virtue of their appearance in this open access journal, texts are free to use, with proper attribution and link to the licensing, in educational, commercial, and non-commercial settings.